Update a bedroom in your home with this transitional full sized bed. The headboard has two flat panels and two shuttered panels framed with simple and stylish molding. 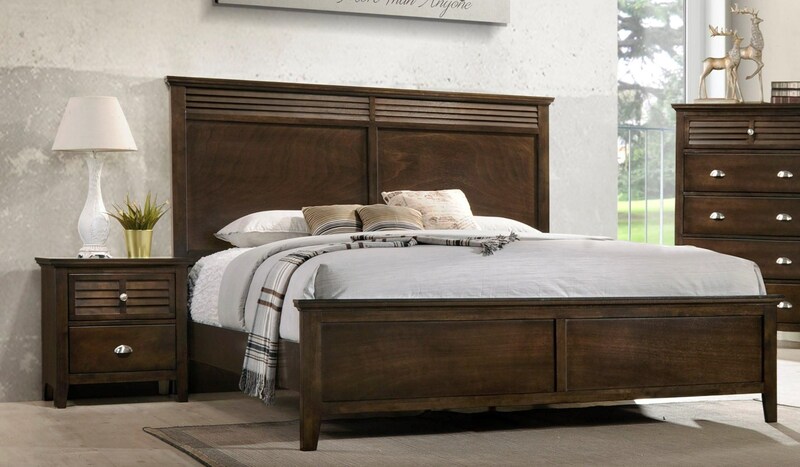 Pair with storage pieces from this collection with matching shutter designs for an easy-going, but stylish bedroom set. The C7313 Transitional Full Bed with Tall Headboard by Lifestyle at Furniture Fair - North Carolina in the Jacksonville, Greenville, Goldsboro, New Bern, Rocky Mount, Wilmington NC area. Product availability may vary. Contact us for the most current availability on this product. C7313A-F48 Full Headboard and Footboard 1 58.6" 2.5" 58"
C7313A-YXN Twin/Full Siderail Set 1 76.3" 0.8" 6.8"
With simple, stylish designs this transitional bedroom collection will be an easy addition to a bedroom in any home. Each piece features clean, sleek lines accentuated by subtle details such as tapered feet, paneling, and uncomplicated molding. A shutter motif adds character and ties the collection together. The C7313 collection is a great option if you are looking for Transitional furniture in the Jacksonville, Greenville, Goldsboro, New Bern, Rocky Mount, Wilmington NC area. Browse other items in the C7313 collection from Furniture Fair - North Carolina in the Jacksonville, Greenville, Goldsboro, New Bern, Rocky Mount, Wilmington NC area.